Venue: Sallis Benney Theatre, Grand Parade, Brighton, UK (hosted by University of Brighton). Geography is often associated with maps and mountains. 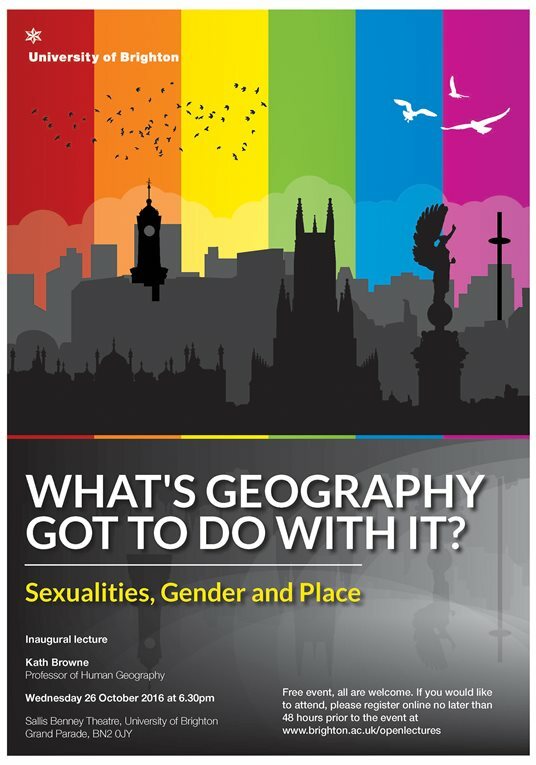 Kath's lecture asks for a different consideration of what geography has to offer and shows it to be crucial to understanding Lesbian, Gay, Bisexual, Trans and Queer (LGBTQ) lives. Tickets for this free event can be reserved by clicking here.